Who gets to use the ‘Sicilia’ name in downtown Salt Lake City — an established pizza kitchen or a popular Italian newcomer? (Rick Egan | The Salt Lake Tribune) Sicilia Pizza and Kitchen, 35 W. 300 South, in Salt Lake City has filed a lawsuit to prevent another restaurant from using a similar name. The owner of a Sicilian pizzeria, open for more than two decades in downtown Salt Lake City, has filed a lawsuit hoping to stop a well-known competitor from opening a new restaurant with a similar name. Amrol Hararah is the owner of Sicilia Pizza and Kitchen, 35 W. 300 South, which specializes in pizza, sandwiches and salads from the Italian island of Sicily. Since opening in 1996, the restaurant “has built a reputation and goodwill based on those trade names in the Salt Lake City area,” according to the complaint filed in 3rd District Court. A few months ago, however, Hararah learned that Francesco and Giuseppe Mirenda, the father and son duo behind the popular Salt Lake County eateries Sicilia Mia, Antica Sicilia, and Dolce Sicilia, were planning to open a fourth restaurant at 8 E. 300 South. 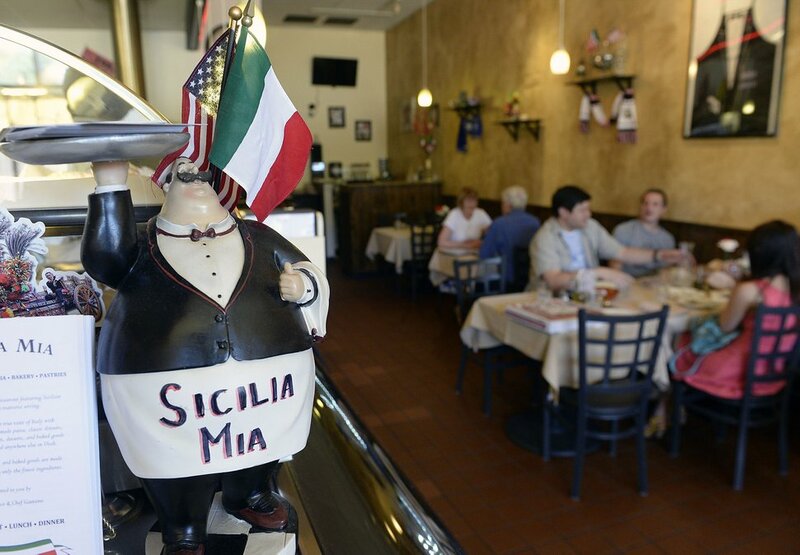 The new Sicilia Mia restaurants — in the old Judge Cafe location — would be “less than one hundred yards from and on the same side of the street as” the Sicilia Pizza location, the lawsuit states. Hararah is seeking a permanent injunction that would prevent the use of “the name Sicilia Mia or any other name which includes the worlds ‘Sicilia’ or ‘Sicilian’ within the official boundaries of Salt Lake City,” the lawsuit says. “They can call it Uncle Bob’s pizza or Irish pizza, anything but Sicilia,” said Larry Reed, Hararah’s attorney. The Mirenda’s attorney, Scott Sabey, is out of the country and was unable to comment Friday, said an administrative assistant at his law office of Fabian VanCott. 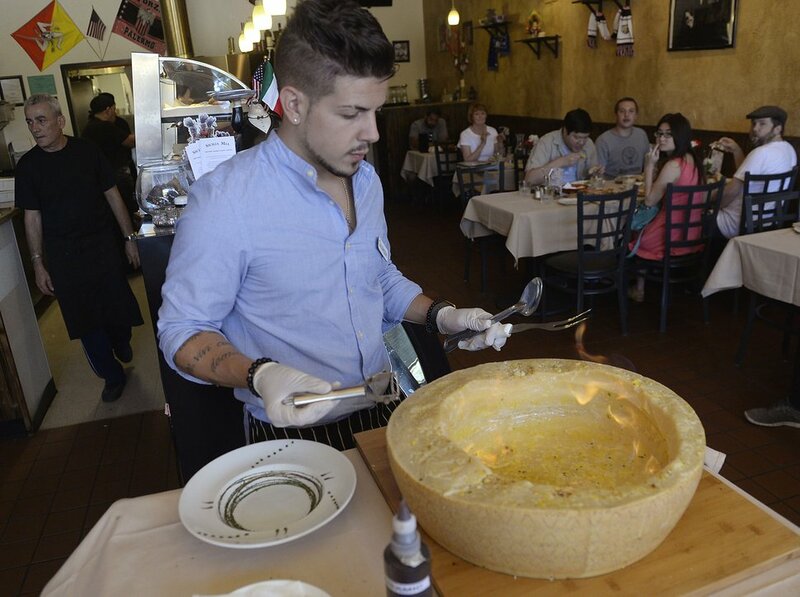 But on Monday, Giuseppe Mirenda said the family is planning to fight the lawsuit. Mirenda said the downtown Sicilia Mia is expected to open sometime in September. A large sign that says “Sicilia Mia is coming to downtown Salt Lake City” currently hangs from a window in the Judge Building and already has started to cause restaurant confusion, Reed said. Due to the similarity in names and the similar menu including pasta, salads and pizza, a number of customers have asked if Hararah was relocating Sicilia Pizza. Hararah also has received mail from the Utah Department of Alcoholic Beverage Control that was addressed to Sicilia Mia, Reed said. Al Hartmann | The Salt Lake Tribune The interior of Sicilia Mia Italian restaurant at 4536 Highland Dr in Millcreek. Hararah, initially opened Sicilia Pizza at 250 E. 300 South. He then moved the business to its current location in 2011. It is one of the few Salt Lake City restaurants that remains open until 3 a.m. on Friday and Saturday nights and for several years it served as the Sundance Film Festival’s late night cafe for live music. But it has not been immune to troubles. In 2017, Hararah was involved in an alleged pizza-for-parking deal with Salt Lake City compliance officers. Officers had been forgoing tickets for employees at the pizza restaurant in exchange for free food. The city fired four code enforcement officers because of the incident. Under the alleged plan, Sicilia Pizza employees who parked at meters for work would display a Sicilia Pizza menu on their dashboard, a signal to code-enforcement officers, who are not police, to not leave tickets. (Rick Egan | The Salt Lake Tribune) Sicilia Pizza and Kitchen, 35 West 300 South in Salt Lake, Friday, July 6, 2018. Clarification: This story has been updated from its original version to include comments from the Mirenda family. Correction: The spelling of Scott Sabey's name has been corrected from an earlier version.